Nestled at the foot of lush green mountains and only 2 minutes walk from the crystal clear waters of Loch Lomond sits The Haven on the Loch. We are proud to say we have been established for over 15 years now and during that time have built a strong, professional team of therapists who offer the most complete range of treatments and services, in a relaxed and comforting environment. We may not be able to guarantee glorious sunshine but we can promise you a first class experience everytime you visit. 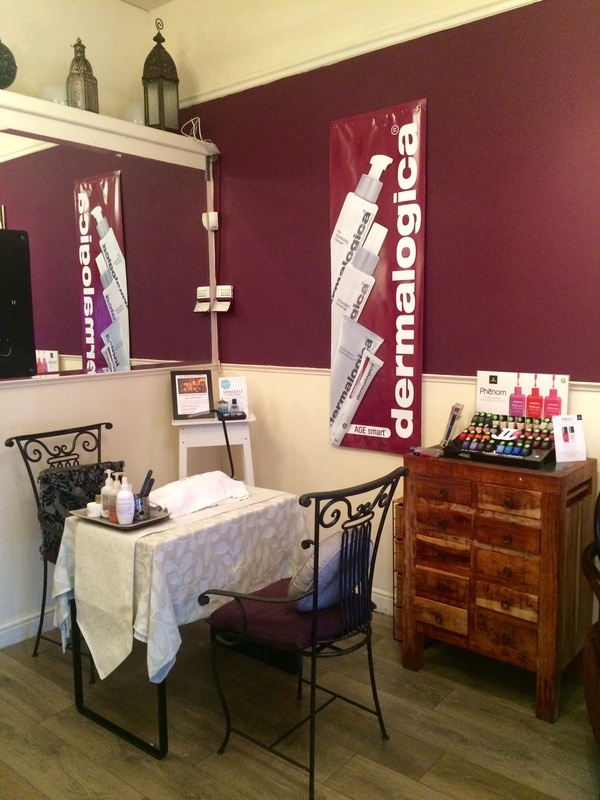 We work with premier brands such as Environ, Dermalogica, Jessica, Bare Minerals, Melt Candles, Lycon, Lava Shells and La Sultane de Saba to provide the very best in all areas of health, well-being and beauty. Whether you are in need of a pampering body treatment, a luxurious beauty boost or simply wish to switch off and forget the stresses of everyday life, you'll find exactly what you are looking for here at The Haven on the Loch. I booked this as a treat during a trip to Glasgow and I was really impressed by the quality of the treatments, the level of service and the professionalism of the whole experience. I left feeling pampered, relaxed and my skin felt amazing! Lovely staff, thoroughly recommended. Brilliant, friendly and professional service. Really pleased you enjoyed your visit. Enveloped cosily in heated blankets so comfortable. The reflexology was divine couldn't recommend it more. Slept so well afterwards as I felt so relaxed. As ever Ailie's massage fie phenomenal. So relaxed and now pain free. Glad it helps John. See you next time. Oh, you've made us blush! The most wonderful experience ???? Hi Nikki. Really pleased you saw an immediate effect on your skin. Looking forward to seeing you at the Skin analysis event on 31st. I can wholeheartedly recommend the hot stone massage at The Haven on the Loch. So relaxing - Ailie worked wonders on the tension in my neck and shoulders. My go to venue for a bit of much needed pampering. Had this done this morning WONDERFUL !!!! Thank you. ???????????????? This was my 3rd massage by Ailie. Had a very painful shoulder so kept it to a back and shoulder massage. Pain now gone and mobility improving all the time. Continuing a maintenance massage every 3 weeks as I have benefited so much. Definitely recommend it to anyone. Certainly beats physio!! Really pleased you're feeling the benefits. Glad we could get you in at the last minute. Hope to see you again soon. Thanks Linda. Glad it worked well for you.